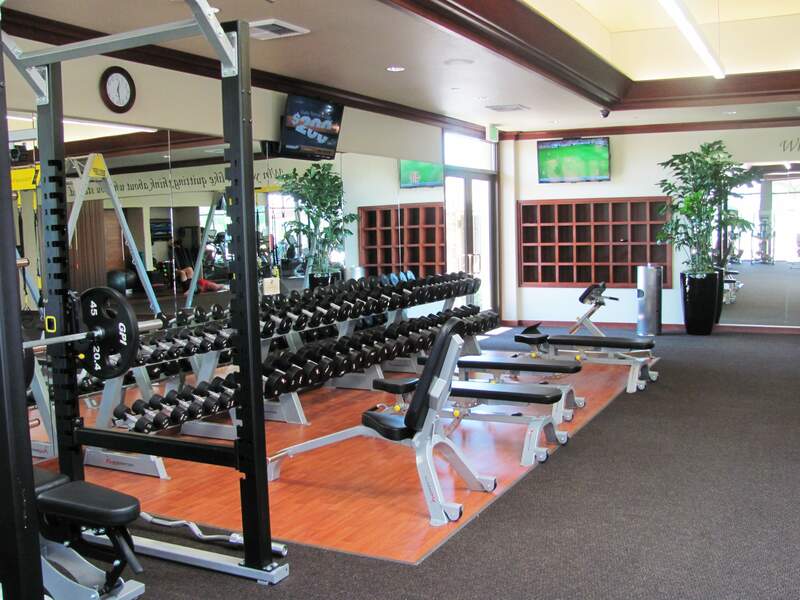 Serrano Country Club offers a state of the art fitness center open everyday from 5 AM to 9 PM. Whether you are looking for yoga or cardio kickboxing, we offer over 20 complementary group exercise classes a week with the best instructors in the area. We offer individual, group, and Pilates Reformer personal training in the fitness center. Whatever your fitness goals are, we can help you reach them. Let’s face it, we are all aging, and our bodies are battling an internal and external war. Some people feel it hopeless and give up completely by not eating right, filling their bodies with processed foods and harmful toxins, not exercising regularly, allowing stress to dominate their life, and not allowing the proper sleep that is such a critical healing time for our bodies. The good news is you can take preventative steps and do something today to eat right, exercise, recover, manage your stress level, and regain youthful energy and vitality. The remainder of this article will focus on components of our cell that, when damaged, lead directly to aging and degenerative health issues. Quick Biology: Your DNA is located within the nuclei of your cells, where it’s bundled within structures called chromosomes. Each chromosome carries specific genetic information in the form of genes. As the cells in your body divide, your chromosomes need to replicate so that each cell contains a complete set of chromosomes in its nucleus. At the ends of each of your chromosomes are stretches of DNA called telomeres. Telomeres are the protective caps at the ends of our cells’ chromosomes that help protect our DNA from damage. As we age, our cells are constantly dividing, and our telomeres gradually shorten. Oxidative stress, toxins and a poor diet can cause the process of telomere shortening to speed up, which means we age faster in life. In a nutshell, they are like the plastic coating on the end of a shoe lace. When they get frayed, they no longer protect our chromosomes, our cells can’t do their job, the aging process speeds up, and degenerative issues will occur in the body. We need healthy telomeres and scientist have shown there are compounds that can stop the fraying and shortening of the telomeres and reverse this process. Healthy nutritional food and supplements may help for anyone who wants to support their youthful energy and vitality. There are scientifically sound ingredients ideal for those who want to gain the powerful, healthy aging benefits that have been shown to come with healthy telomeres. Jen Smith is the area’s most respected Fitness Trainer. For over a decade Jen has been improving the lives of many dedicated local residents. She admits that the client is responsible for achieving the results, and that it takes an enormous amount of discipline and determination. But, Jen’s techniques soften the blow by making workouts fun, challenging, and a bit different each time. She works with all fitness levels, regardless of age, and focuses on teaching proper form and technique for maximum results. Jen transformed herself and lost 80 lbs after the birth of her third child. She loves helping others reach their fitness goals. From those who are seeking drastic or moderate changes in their personal fitness level. Jen is a Certified Ace Personal Trainer and is recognized as a Certified Tae Bo, TRX, Spin, Kick Box, Group Training, Pilates Reformer, Les Mills Body Pump, and a certified BeachBody Coach (the largest producer of home exercise DVD’s in the world and nutritional products). If you're new to the fitness center and/or have any questions about what workout program is best for you, reach out to me directly for quick answers, a consultation, or an initial 30 minute complimentary orientation. CLICK HERE to access the You Tube link for the Fitness Club's cardio equipment orientation provided by Fitness Trainer, Jen Smith. PRIVATE & SEMI-PRIVATE PILATES REFORMER SESSIONS!